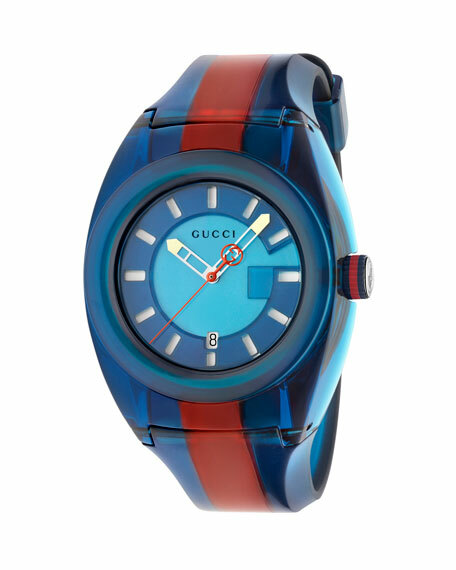 Gucci men's watch from the Gucci Sync Collection. 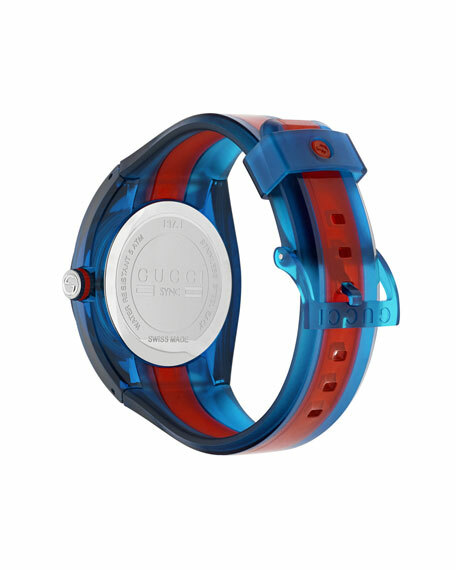 46mm round transparent blue/red/blue web nylon case. 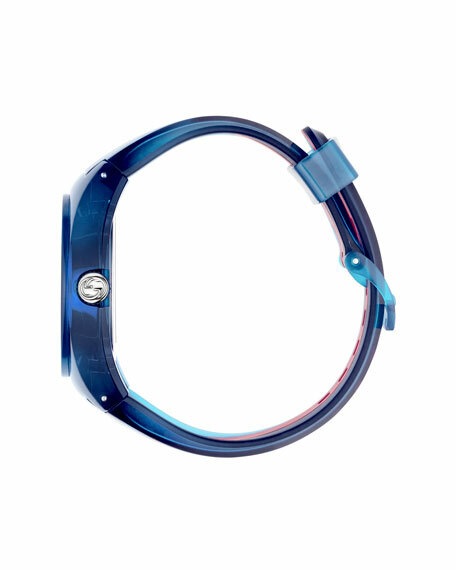 Signature transparent blue/red/blue web rubber strap. Blue super-luminous dial with G frame and perforated indices. Luminescent three-hand Swiss-made ETA quartz movement. Mineral glass crystal with hard coating. Water resistant to 5 ATM. Gucci leather watch with honey bee embossed center. 38mm round yellow golden PVD stainless steel case. Brown leather logo-embossed dial and strap with thorn buckle closure. Two-hand Ronda quartz movement. Scratch resistant sapphire window. Made in Switzerland.